What Is a Click to Call Link? A click-to-call (AKA click-to-dial or click-to-talk) link is a way to instantly dial a phone number from an HTML page or HTML email signature simply by clicking on the link. In this blog post, we will talk about the use of click to call links within email signatures. 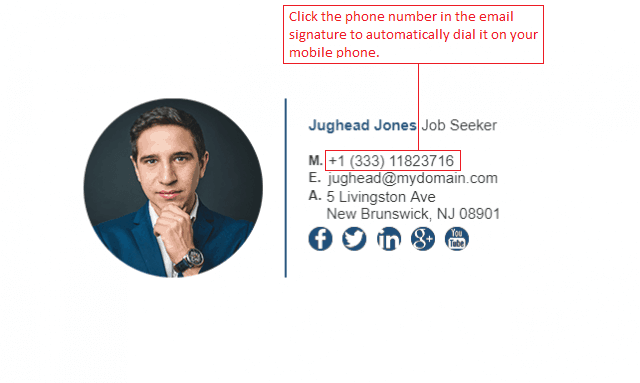 Why Use a Click to Call Link in Your Email Signature? Using a click to call link in your email signature has many great advantages, but also a few small disadvantages too, which we will list below. As you can probably see, the advantages far outweigh the disadvantages! An easy way for your recipients to call you by simply clicking on your phone number in your email signature. Gives your recipient confidence in your brand by showing them that you’re eager to receive phone calls. Fewer steps required to contact you. Some email clients such as Outlook may treat the phone number as a hyperlink which means it will automatically append an underline underneath it. Although this can be corrected, it can introduce additional problems. Accidentally clicking the link when scrolling through your email. 1. 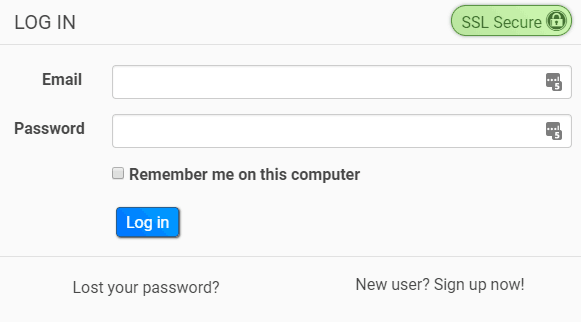 Log in to Gimmio. 2. Select your email signature and click the Edit button. 3. Click the Details tab at the top. 4. Scroll down until you see the phone number you want to add the click to call link to and then click the hyperlink button underneath it. 5. Enter “tel:” (without the inverted commas) followed by the phone number you wish to insert. For example, tel:+1 2345 6789. This will be the number that gets dialed when someone clicks on the link. Note: The phone number you display in your email signature, and the phone number that gets dialed when it’s clicked can be different. 6. Install your email signature into your email client and you’re done. 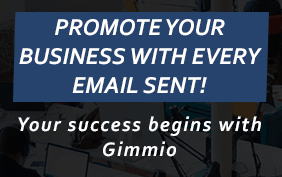 This method involves changing HTML code manually, so if you aren’t confident with coding HTML, we recommend you either use Gimmio or get someone who knows about HTML to help you out. If you really want to change it yourself, you should read our post on how to code email signatures so you get an understanding of what is involved. 1. 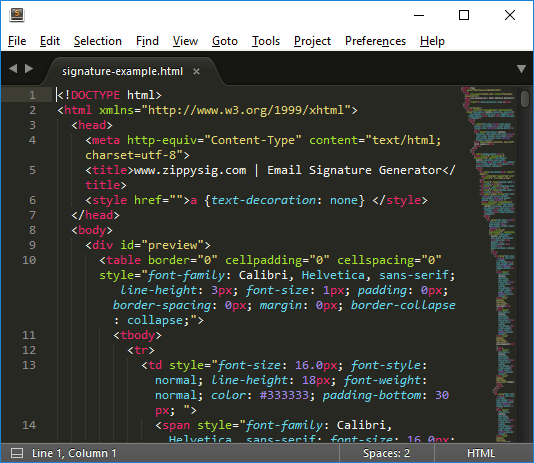 Open your email signature HTML document in a text editor like Sublime Editor. 2. Search (by pressing Ctrl + F) for the phone number that you want to add the click to call link to. 3. Once you find the phone number, you will want to inspect the code to understand what the layout of it looks like. You will usually find that the phone number is inside a span <span> which is inside a table data <td> which is inside a table row <tr> which is inside a table <table> and so on. 4. You will need to add an <a> tag directly outside the <span> tag. Inside your <a> tag, you will need to add the “href” attribute and point it to “tel:+1 2345 6789” for example. The <a href> attribute allows the text to be clickable, like a hyperlink. Note: When you add tags or elements to a HTML document, you may dramatically change the way the elements inside it are styled. For example, if you add the <a> tag outside the <span> tag as above, it may change the way the whole phone number field looks in the email signature since the style wasn’t defined in CSS. 5. Save the document, install the email signature to your email client and test to make sure it works correctly. Click to call links in email signatures make everyone’s life easier. In this case, they are a handy and easy way for your recipients to call you quickly, which is why we think that everyone should use them in their email signatures. With this in mind, it’s a great way to allow your customers to contact you even faster, without having to fumble around copying and pasting your phone number or writing it down.